Posted by Jan Vantomme on 09 September 2016. 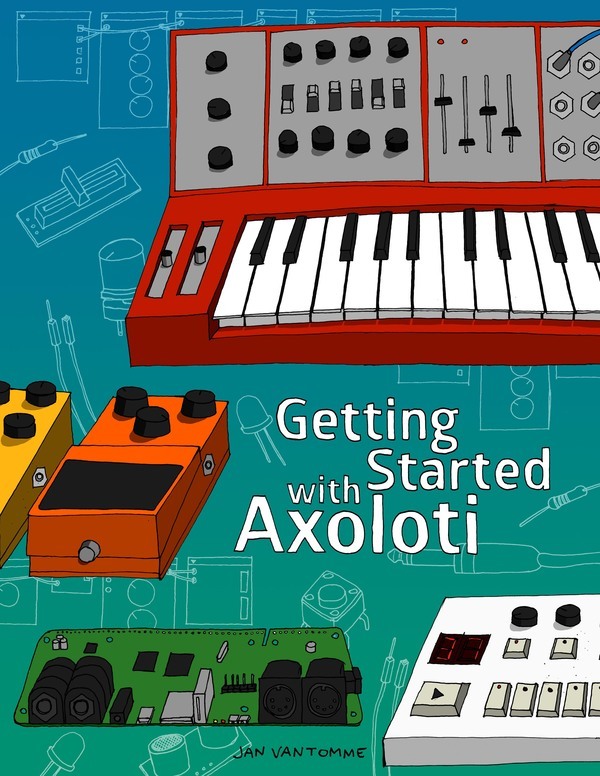 I wanted a synth with a lot of controls, so I can play it like an instrument in many different ways. That’s why I chose to add some controls you won’t find easily in “commercial/off-the-shelf” synths. 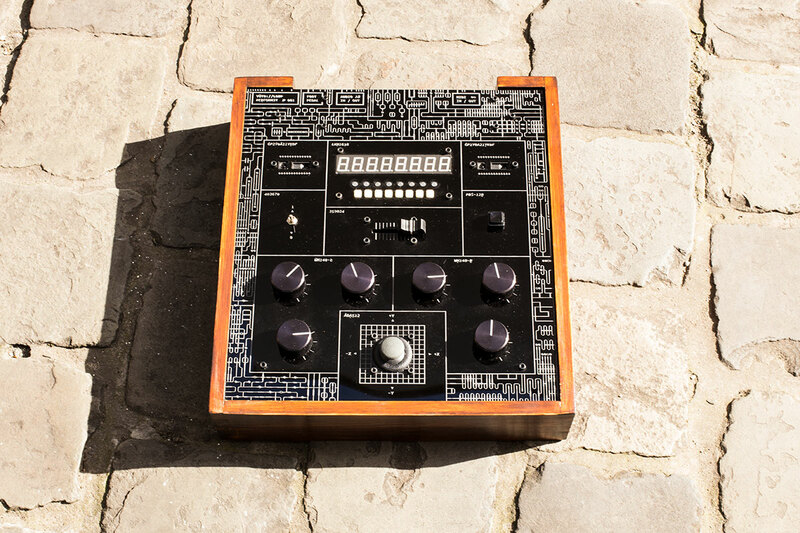 The synth has two distance sensors, that can be used to play it like a theremin. 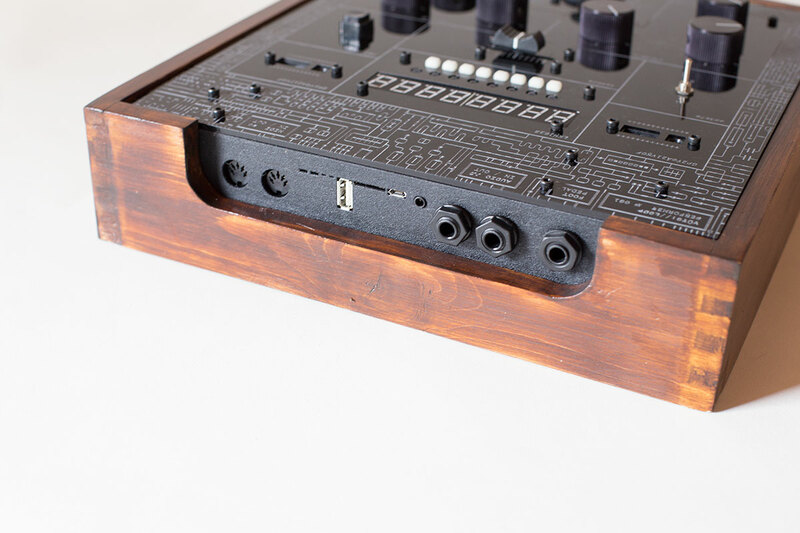 There’s also an extra stereo jack input for a Behringer foot pedal, so you can push buttons with your feet while your hands are playing with the other controls. But enough chatter for now. This is what it looks like. I did a lot of prototyping with electronics, and different materials for the case at timelab, the local fablab in Ghent. I took a lot of photos during the design and build process. You can find all photos on Flickr. The synth has quite some different controls. Here’s the full list, and the GPIO pads they are connected to. 6 Potentiometers, connected to PA0, PA1, PA2, PA3, PB0 and PB1. 1 Thumb Joystick, connected to PC2 and PC3. 1 LKM1638 board, connected to PA4, PA5, PA6 and PA7. 1 Stereo Jack to connect a Behringer foot pedal, connected to PB6 and PB7. Push Button, connected to PB9. 2 IR Distance Sensors, connected to PC0 and PC1. 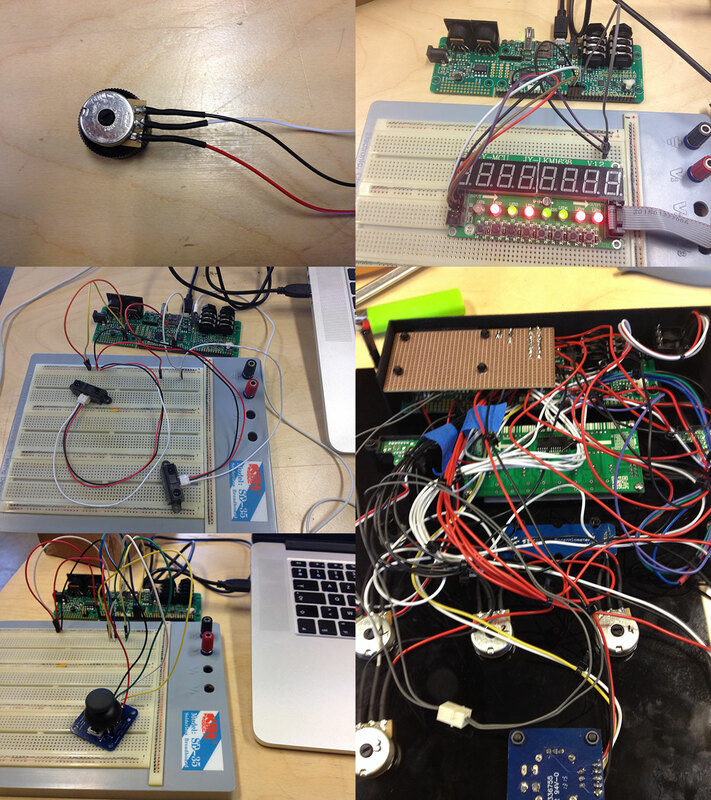 The image below shows some photos taken during the prototyping phase, and one of the final electronics. 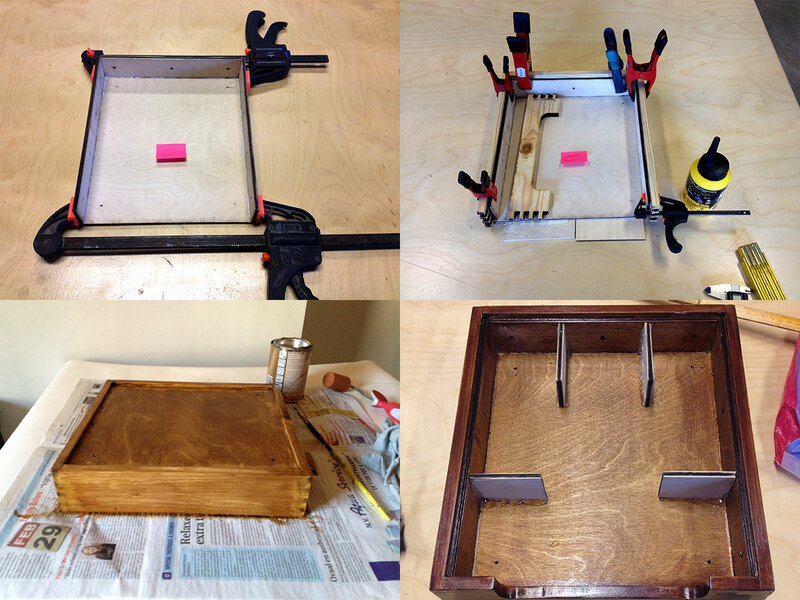 The case was made with wood for the main box, and black acrylic for the top plate. I’ve also made some custom 3D-printed parts for the Axoloti bracket, the thumb joystick mount, and the buttons for the LKM1638 board. Before designing the final top plate, I did a lot of prototyping to find the best way to mount each individual control. The photo below shows some of these prototypes. Everything was laser cut from 3mm thick acrylic. The synth also contains some 3D printed parts. I did a few iterations on each part to make sure everything had the right dimensions. These prototypes were printed on the Ultimaker 2 at Timelab, the final prints for the synth were made professionally at Shapeways. 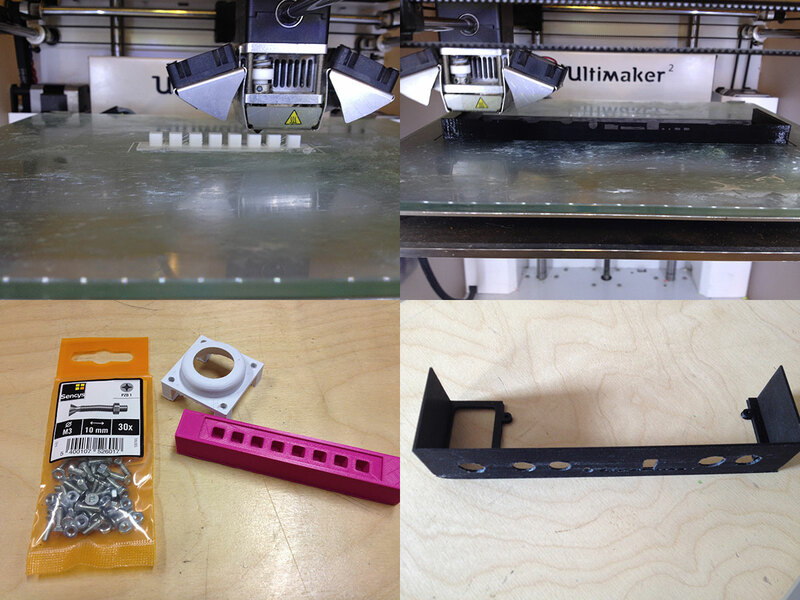 The photo below shows the process of prototyping the 3D-printed parts. 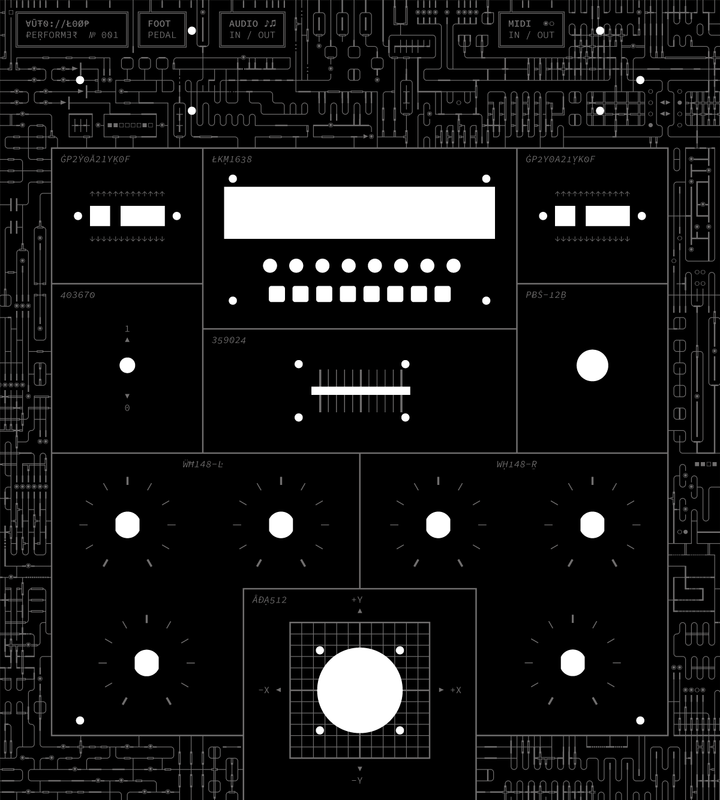 All artwork for the top plate of the synth was made with the Adobe Source Code Pro font. The exact location for each controller was based on the layout. 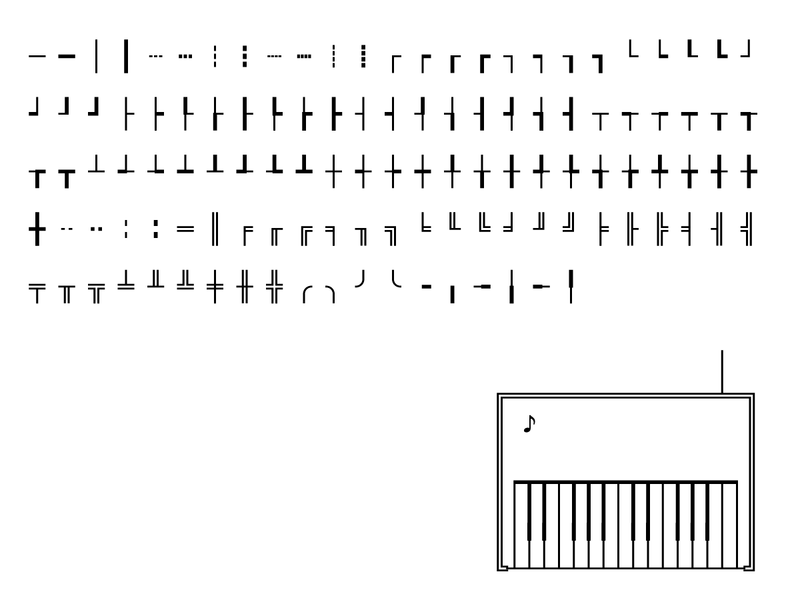 The Adobe Source Code Pro font contains a lot of interesting glyphs. You can see them in the image below. If you combine these glyphs, you can create great illustrations. This is what the final graphics for the synth look like. 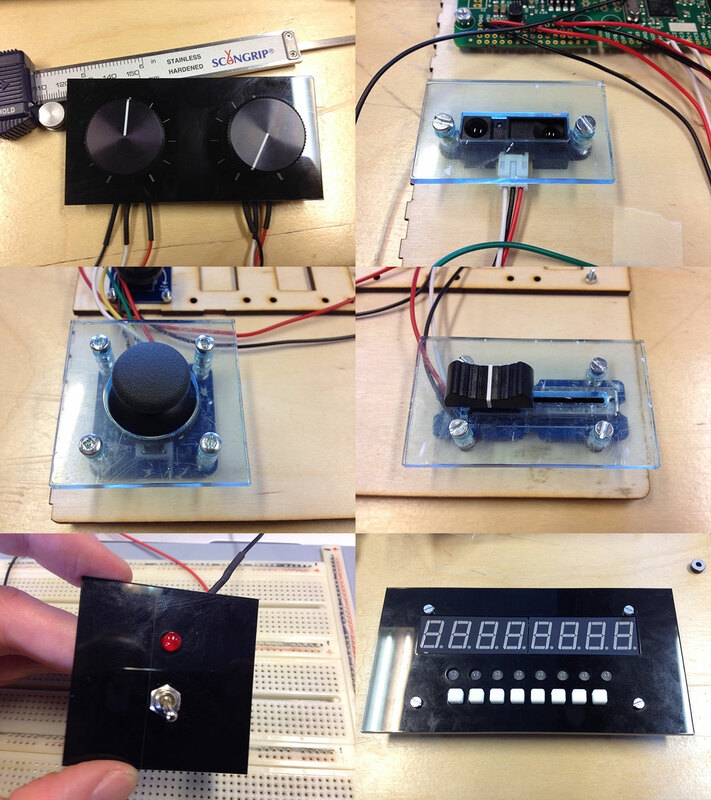 I developed some custom objects to control the LEDs and display, and read button states on the LKM1638 board. 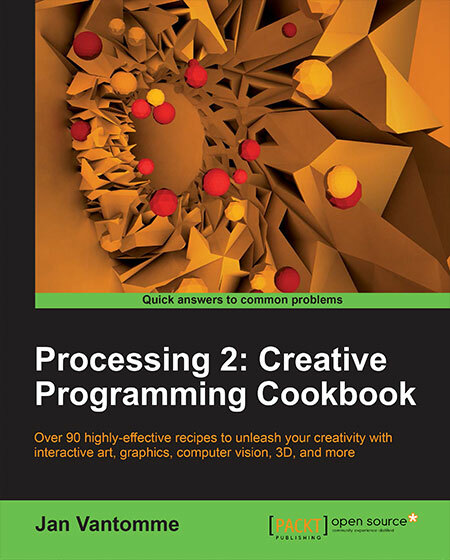 These objects are available in the Axoloti community library. I’ve shot some short videos of the software for the LKM1638 board in action. You can find them on Vimeo.